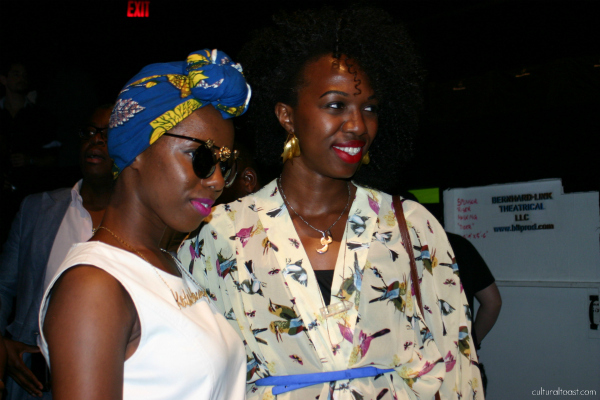 Heritage 1960’s Founder and Creative Director Enyinne Owunwanne and stylist/fashion writer of Joy Loves Fashion Joy Adaeze’s front row style at ARISE African Icons Spring 2013 show was inspiring from hair to accessories! I love Joy’s funky gold Noir “Keith Haring” necklace, custom sunglasses by Mercura and white leather pleated vintage dress. 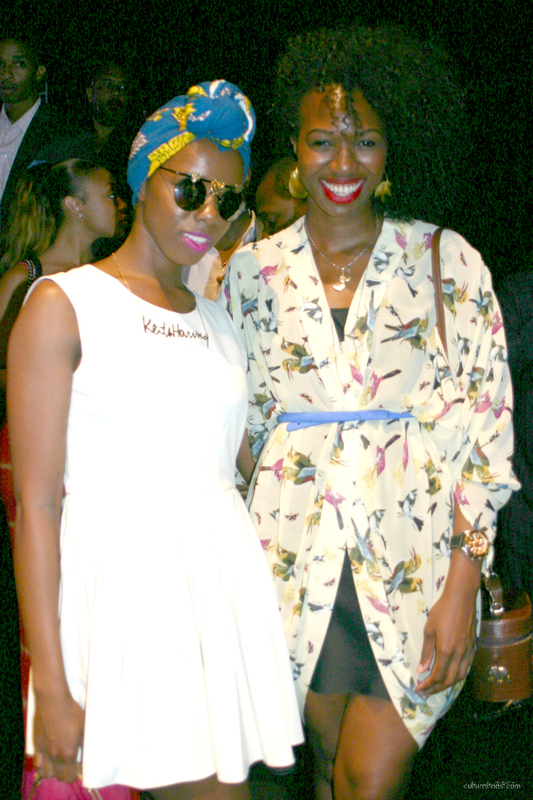 I also enjoyed the flying birds printed flowy top Enyinne won with a chic tiny blue belt and her gold Fulani earrings! Is the printed shirt the trend of the season? Cultural Style is a feature focusing on real style on and off the red carpet. Cultural Toast is a blogazine run by Chioma, a Nigerian Metropolitan-based fashion writer. This blogazine celebrates with a cultural toast to a post-1960 Nigeria with its focus on entertainment and fashion news. African fashion, style and trends will be readily available on CulturalToast.com. 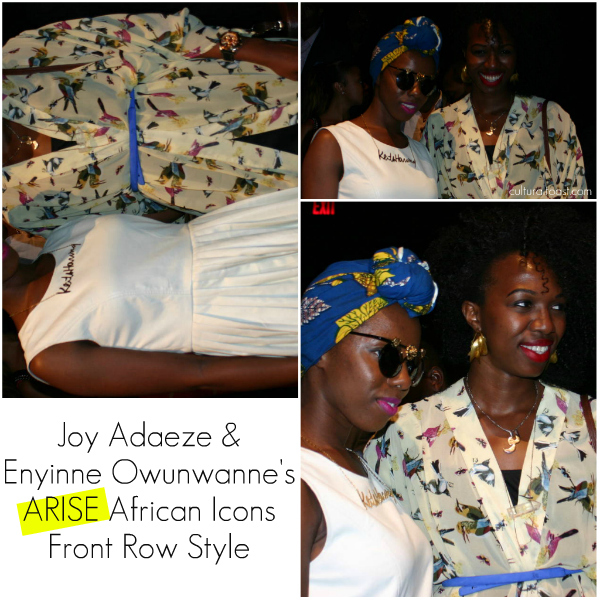 Posted on September 9, 2012, in African Fashion, ARISE Made in Africa, Cultural Look, Enyinne Owunwanne, Fashion & Red Carpet, Joy Adaeze, New York Fashion Week. Bookmark the permalink. Leave a comment.